A melody passed on. All photos by Daniel Schwartz. Music is transportive for Fathom super intern Daniel Schwartz. A powerful song by an award-winning Catalonian singer-songwriter takes him back to his roots. My happy place is an exercise in imagination. It isn't a meal, a cozy cafe, or a single faraway place. It's a familiar tune that transports me back in time. 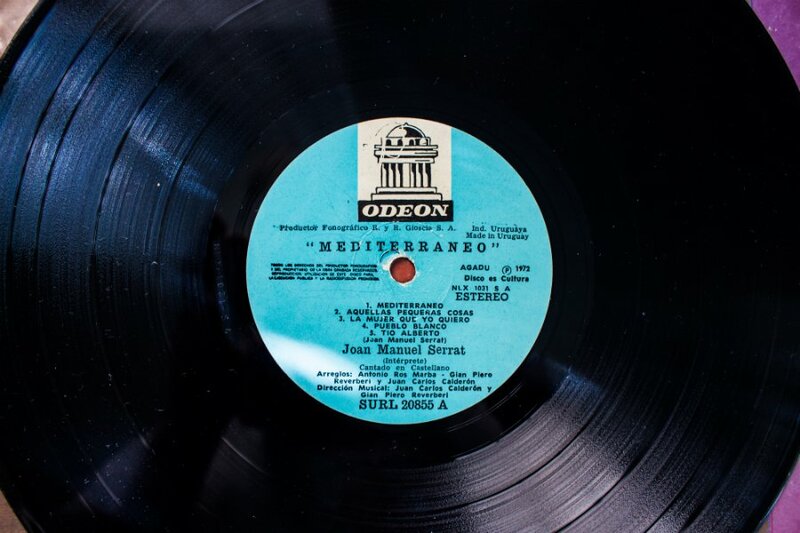 I take a trip whenever I listen to "Mediterráneo" by Joan Manuel Serrat. Let me explain. The song was a hit for years throughout the Spanish-speaking world after its release in 1971. It has won many awards, and was recently declared the most important Spanish song of the 20th century by Rolling Stones. My mother discovered the Catalonian artist a few years after the song's release, and like many teenage girls in the Hispanosphere at that time, swooned over his voice and poetic lyrics. The radio stations in her native Andean town of Armenia, Colombia, played dated tracks, and by pop-culture delay or sheer chance, she didn't hear "Mediterráneo" until 1978. It was introduced to her by a boyfriend she would never see again. He gave her the record shortly before she departed from her homeland at seventeen. Years later, she introduced me to the song. Or, should I say, she inundated me with it. I had no say in the matter as an infant, and as I grew older, I tolerated the constant stream of music emanating from the record player in her corner room. It made her happy, so I didn't mind. But, for me, it didn't resonate. Artwork from the artist's discography. She still plays it regularly. It's as much a morning routine as brewing coffee or grinding corn for arepa or mazamorra. I've never asked why she listens to the same records on repeat, but I assume it must bring her back to her childhood, her home, or her happy place. Over time, it's exactly what those songs have done to me. 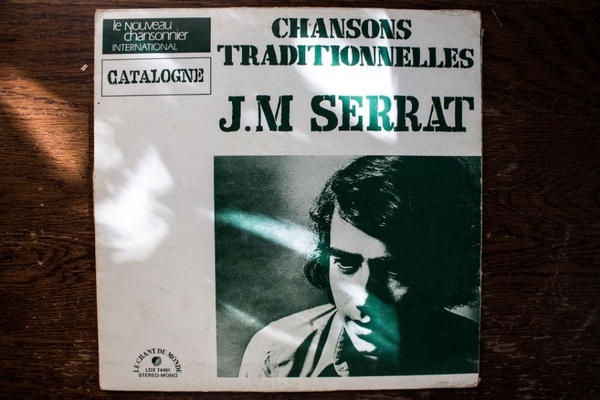 I rediscovered Serrat's music as a teenager. I started traveling and spent less time at home. With an urge to explore came homesickness. I turned to the music for comfort. Lyrics, like "escondido tras las cañas duerme mi primer amor, llevo tu luz y tu olor por dondequiera que vaya..." (hidden in the reeds lie my first love, I carry your light and scent wherever I go) took me to a familiar place. I would tune in — from a haze in Amsterdam or an uncomfortable train ride in Serbia — and return to the sun-drenched corner of the apartment where I grew up. It inspired me. Allusions to blue tides, red skies, and cherished landscapes conjured images of the idyllic Mediterranean. 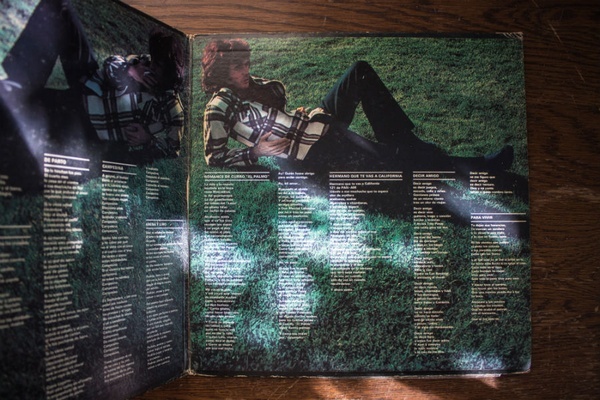 Certain verses — "soy cantor, soy embustero, me gusta el juego y el vino, tengo alma de marinero" (I'm a singer and a liar, I like gambling and wine, I have the soul of a sailor) drew me to Serrat's Spain. I felt close to it — my mother had lived in Spain — and was empowered to fashion fantasies from it. Early morning red skies over the Mediterranean. Photo by Enrique Freire / Flickr. The melody took me to a modest seaside shack in my mind with an improbably large wine cellar, where I would subsist comfortably on passion, intimacy, and strong coffee. 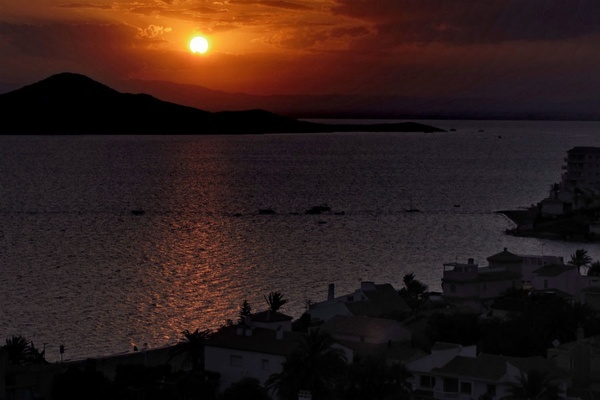 Naturally, the peaceful dream fueled an urge to visit España. So I jumped at the first opportunity to do so, on a grand tour of Iberia, one of those organized human-herding experiences for culture-craving seniors I've been forced to endure too many times in my life. Not exactly the romance I envisioned, what with all the walking tours, buffet lunches, and museum visits, but I had fallen in love with Spain before ever setting foot on the peninsula. I listened to the song on city-to-city bus rides as I watched the passing landscapes with unbelieving eyes. I recovered from the boom-boom of Barcelona night clubs with that peaceful tune. I even played it as I drank my morning coffee. I returned from my trip with a new appreciation for the tender passion with which Serrat serenades his homeland. He sings of the Mediterranean as if it's a lover, a place and personality, and a part of his identity. The song starts with childhood, ends with death, and comes full circle with the artist's last wishes: To be pushed out into the ocean and buried, without mourning, between the sea and the sand. Empujar al mar mi barca (push my boat out to sea). Photo by Gvillena / Flickr. The man appreciates his roots. His song is an ode to home — his, mine, and my mother's — and a personal reminder of where I've come from. It brings me to a happy place — whether I'm sandwiched for an hour-long commute at rush hour or aimlessly wandering half-way around the world. It brings me home for a few minutes, even when I'm exactly where I want to be. 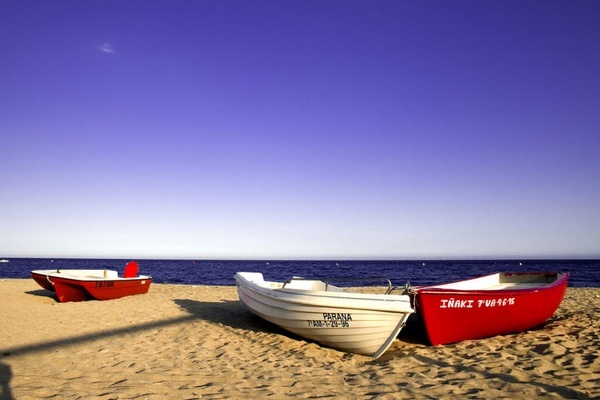 Like on the south shores of Spain, in Torremolinos, in a small fish shack on the sand. The breeze was cool, the fish was fresh, the sangria was unlimited. A short, silent, bronze old man walked up to our group and exploded in sound with a few classics on his guitar ("La Bamba," "Besame Mucho," you can hear it, can't you? ), then returned to his solemn corner of the restaurant. I followed him to request "Mediterráneo" by Serrat. He lit up, parading around as if he'd been drinking with us all night. I know. I'm the swooning girl my mother was at fifteen. And I'm okay with that. One day I'll pass it on, and the record of smiles, memories, and love will continue spinning.